Real World TWENTY EIGHT!? Jeez Louise, I am feeling old! I remember watching Season ONE! In 1992, The Real World spawned a new genre of television with its fresh documentary/soap opera formula. Seven diverse young people from all over the country moved into a New York apartment in the SoHo neighborhood of Manhattan. All seven pursued their own dreams in the big city--a model, a dancer, a writer, a rapper, a rock singer, an artist, and a singer--we witnessed their triumphs and failures. A possible romance developed between two of the roommate Eric and Julie, the lone gay castmember, Norman embarked on a serious relationship, and racial tensions heated up between Kevin and the roomies. Twenty years later... the show that started the reality TV revolution is still going strong and is coming to Dallas to look for new cast members. My favorite part about this casting is on the website where it says, "You must be age 20 or older, and appear to be between the ages of 20-24." APPEAR to be... Ah, the hilarious ironies of "reality" TV. Please note, they are coming to Dallas looking for cast - the show will not be located here. Well, probably not, anyway. 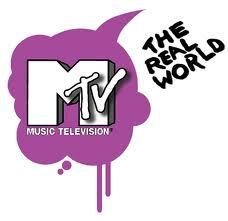 "The Real World" is currently filming its 27th season in St. Tomas, with the new season set to debut later in 2012. No location for Season 28 has been announced.